We all know by now that Johnny Depp is a turd, right? Okay, cool. 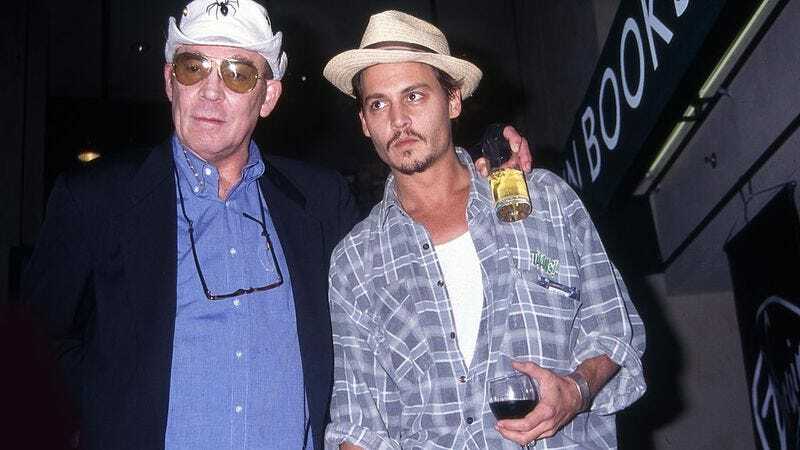 Well, amid the domestic violence allegations and bad movies, turns out Depp did do one nice thing: He spent $3 million giving his friend Hunter S. Thompson a proper sendoff by shooting his ashes out of a giant cannon, in accordance with Thompson’s wishes, back in 2005. That lifestyle, according to TMG, included: $30,000 a month spent on wine, $200,000 a month on private planes, $150,000 a month on security, and $300,000 a month to pay his 40-person staff. That’s on top of the $75 million required to buy and maintain his various residences around the world, and the $18 million he spent on a yacht, among other extravagances. The suit doesn’t elaborate on how much Depp spends every month on eyeliner and hats, but one can only assume it’s ridiculous as well. You can read the whole lawsuit over at Variety.